Chadlington School is a vibrant village school, big enough to be well resourced, yet small enough to be able to put every child at the centre of what it does. The school provides a high quality education with caring and supportive teachers who tailor what they do to the individual child.. The school is at the centre of the village adjacent to St. Nicholas Church and is very much the centre of village life. “The children at Chadlington School enjoyed a fantastic Easter term, punctuated by a trip of a lifetime. This piece de resistance was a day out in London in mid-March, where students from year’s 3, 4, 5 and 6 headed to Pineapple Dance Studios for a Lion King workshop. Guided by fantastic teachers, every single student was leaping like a gazelle, springing forth like a Zebra, fluttering like flamingos, and rampaging like wildebeest, whilst at the same time perfecting chanting in Zulu and singing the Circle of Life. The amount achieved in 2 hours was truly spectacular, and culminated in a memorable performance from both groups. We were then joined by the rest of the school to go to the Lyceum theatre and see the genuine article. From the opening chorus to the curtain call the children sat spellbound – it was a day that will live long in the memory of everyone who was lucky enough to be there. On the 16th of March all of the school combined to take part in the inaugural Chadathon. And experience it they did! All of the children of Chadlington school taking part took a leaf out of Forest Gump’s book, and ran, and ran, and ran, and ran. In the end we had to stop them, with the grand total amassed by the various groups topping 36 miles +. What was truly remarkable about the entire effort was the determination every single one of the children put in.The confident runners exceeded their own goals, and the less confident ones battled through to their mile, before surprising themselves by running at least another one! In all, the realisation amongst every one of the school was that one mile was achievable, and buoyed by the general positive emotion surrounding the event, that everyone could do a little bit more than they thought. A huge thank you to all parents who came to help, run, and support – the smiling faces, encouraging chats, energetic dogs, and exuberant cheers helped every single one of the children around the course, and kept them going when on occasion they started to flag. 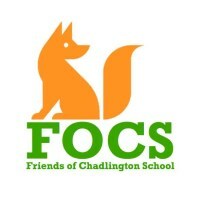 The Friends of Chadlington School (FOCS) is like a Parent Teachers Assocation (PTA), but is called the “Friends” as it welcomes anyone from the community who has an interest in the school, not just parents and teachers. Most of their efforts go into organising events throughout the year, with the primary aim of fundraising for the school, but also with socialising and good fun in mind!